It has been quiet for a while on Lex Pott’s Window. 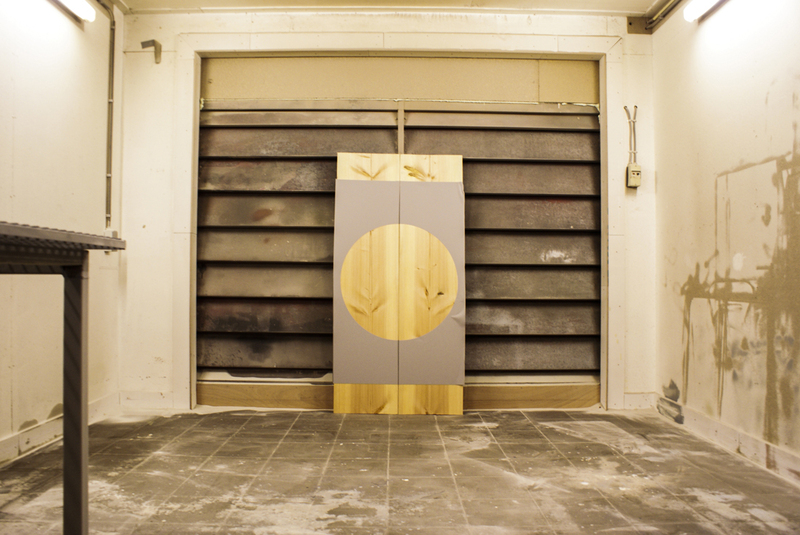 This is because we were at the design fair Object Rotterdam, showcasing the first objects of the Diptych series. After a mainly online process it was good to finally present the first results in real life and to explore the reaction of the public. 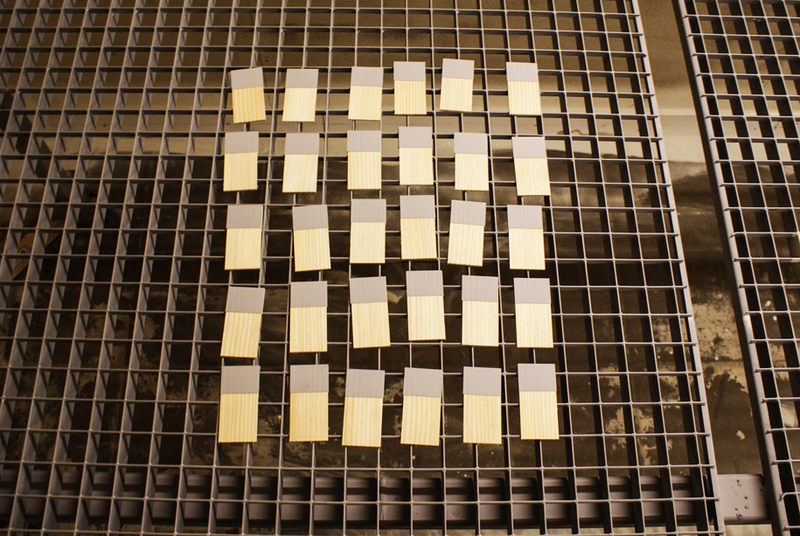 The matches, ready to be sandblasted. The objects on show at Object – posters, combs and totems – were all rather autonomous. Now it’s time to develop the more functional products in the series. Hereby we can reveal that Diptych will be completed by matches, a room divider and a cabinet; creating a range of objects from very small to quite large, with different degrees of functionality. 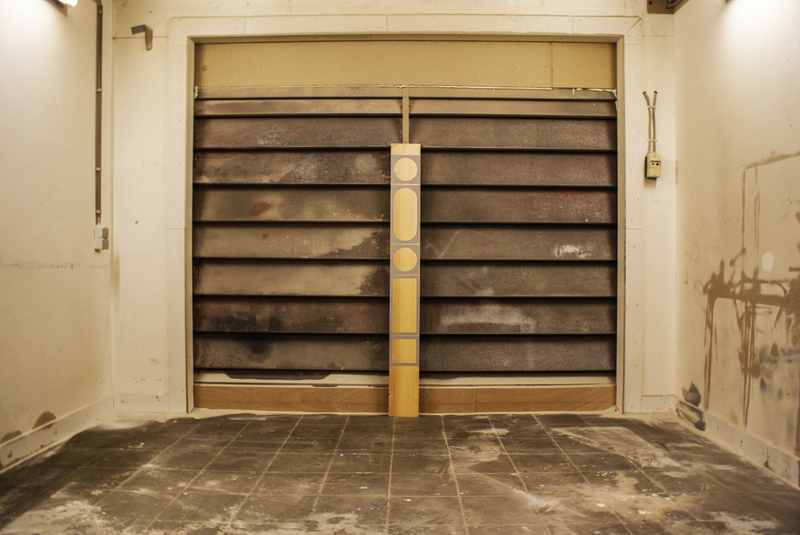 The room divider in the sandblasting studio. 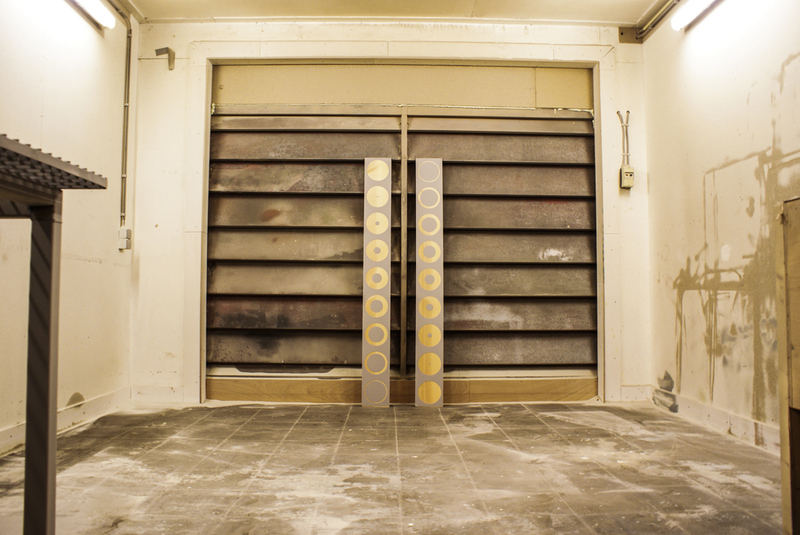 The doors of the cabinet, covered with the sandblasting stickers. The complete series will be presented at the world famous design fair Salone del Mobile, from 8 till 13 April in Milan. The presentation of the collection will be accompanied by a book, designed by Mainstudio. Therefore the objects need to be finished soon, so we can have them photographed by the versatile design studio Raw Color, based in Eindhoven. They know how to capture the essence of products in beautifully stylized pictures, which will feature in the book. The new design of the totem that did not turn out as we had hoped. To end with, another story of surprise and disappointment. 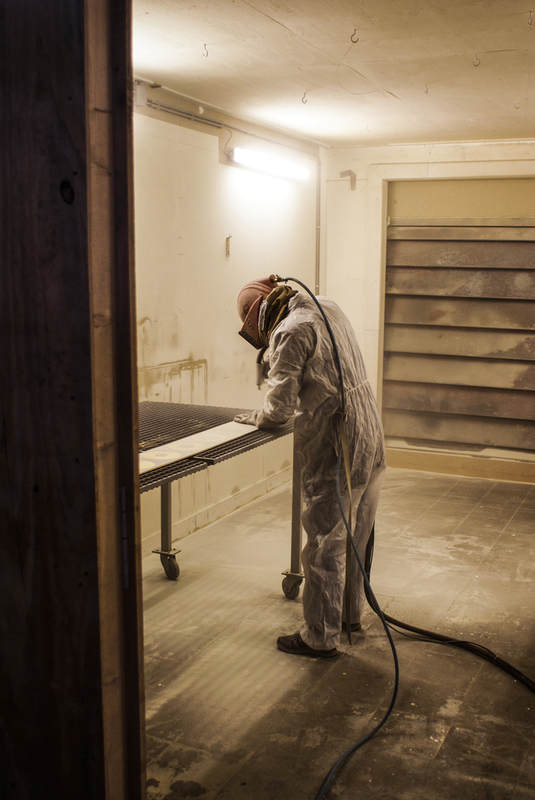 Last week we went sandblasting again. This time we tried a different pattern for the totem, consisting of circles that were partially blasted open. It did not work out as we had hoped. The motif turned out too decorative, so we decided not to use it and return to our original design.